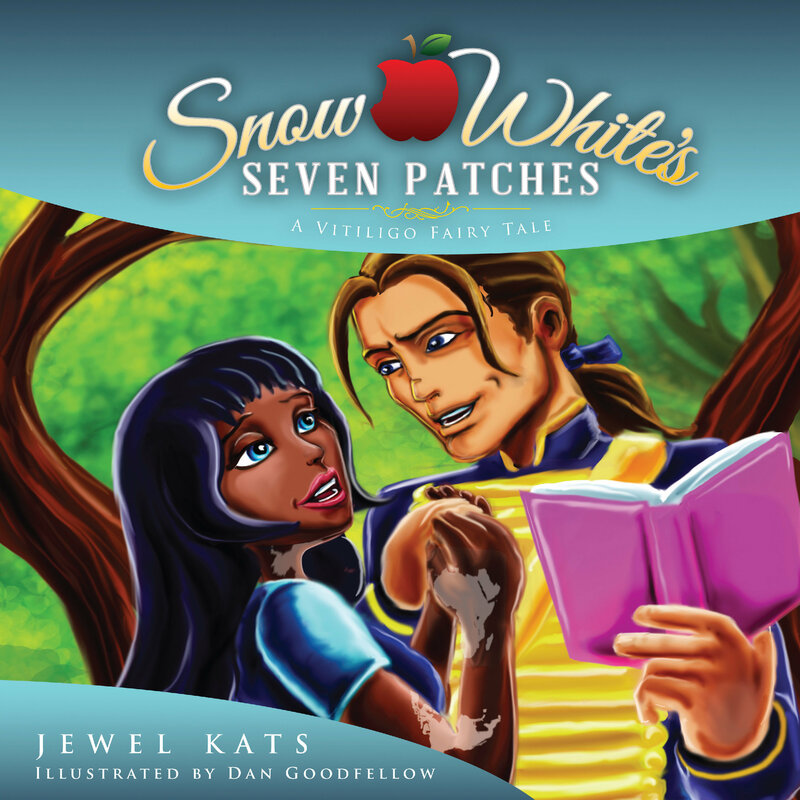 Snow White's Seven Patches: A Vitiligo Fairy Tale is a modern-day story with the classical theme of good conquering evil. You'll find the age-old ingredients of a magic mirror, poisonous apple, dwarfs, and romance here. However, this adaptation includes a vain mother who's so clouded by beauty myths that she keeps her own daughter a secret, while plagiarizing the workings of her mind. Everything falls apart when the good mirror finally speaks the truth. Young readers with vitiligo will look at their own skin patches with a unique lens, finding interesting shapes and stories behind each puffy cloud of white. Readers will be introduced to the firsthand-hurt that plagiarism can cause through Snow White's experience. "Jewel Kats entertains and engages, highlighting significant issues that resonate with children and adults alike. In Snow White's Seven Patches, Jewel emphasizes how to overcome adversity with creativity. She encourages children to maintain a healthy perspective about their physical appearance. Jewel reminds us that despite wickedness, we can move on and get about the business of life, letting serendipity take us to wonderful places in hope. And just maybe what we think we might have, we will be able to achieve."